Chili night just got easier and much more delicious. 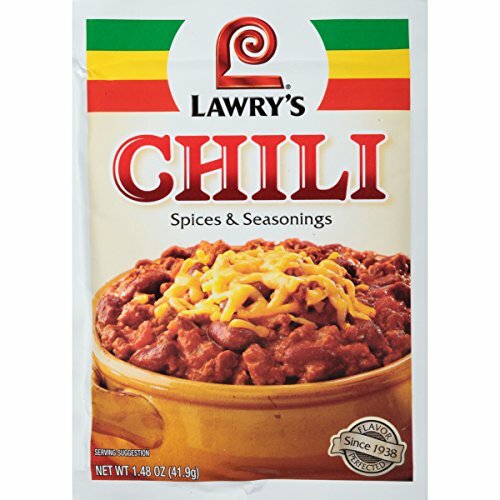 Lawry's Chili Seasoning Mix is all you need to create amazing chili your family will love -- €“in a flash! Featuring a blend of zesty herbs and spices, such as chili peppers, cumin, oregano and paprika, this convenient seasoning delivers a hearty, homemade meal. Simply mix with 1 pound of ground meat, add water, kidney beans and diced tomatoes, and simmer to perfection. As prepared, it also makes a great topping for nachos or fries.